Former legislator Nathan Law Kwun-chung has had enough and is quitting Demosisto, the political party he co-founded. 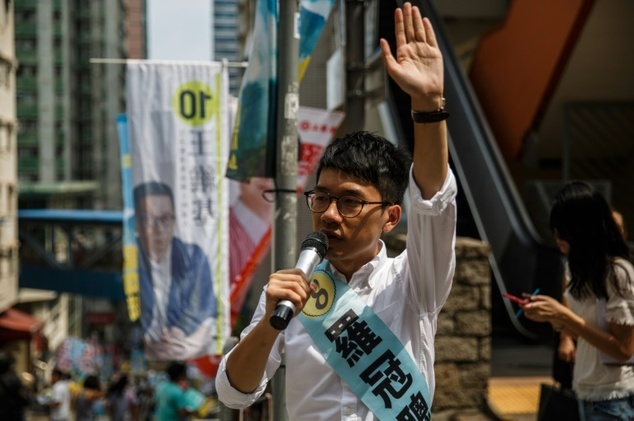 The 24-year-old pro-democracy activist made the announcement yesterday on social media, saying he was stepping down as chairman of the two-year-old party, while co-founder Joshua Wong Chi-fung remains Demosisto's secretary-general. Law said in his Facebook post on Wednesday that he is not abandoning his vision or beliefs, but wanted to "open up paths that were not explored before". "Since the umbrella movement, I have been living in the vortex of the political storm. In the face of the stern political situation, I found myself overloaded both physically and mentally. I need time to rally my forces and think about the road ahead." Indeed he has been through a lot since he and Wong started Scholarism exactly seven years ago this month and since then Law has been in the public eye, particularly during the Occupy Movement in 2014. Two years later the duo started Demosisto and Law ran and won a seat in the Legislative Council elections that year. However, Law was dogged with law suits and jail time -- he, Wong and Alex Chow Yong-kang were convicted and jailed for six to eight months last August for their role in the Occupy protests that were deemed illegal. 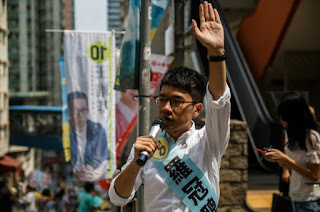 Also after he was elected democratically into Legco in 2016, he was disqualified last year by the court for his improper oath-taking in which he made a short speech before taking the oath. He quoted Mahatma Gandhi in saying: "You can chain me, you can torture me, you can even destroy this body, but you will never imprison my mind." 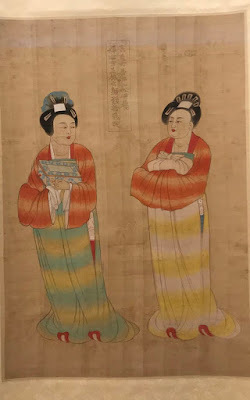 And then as he took the oath, when it came to the word "republic", he changed the tone of his voice as if you ask a question -- "I swear allegiance to... the People's Republic of China?" he asked. Although his oath was validated by the clerk, there was an unprecedented legal challenge mounted by then chief executive Leung Chun-ying and Secretary for Justice Rimsky Yuen Kwok-keung. First it was Yau Wai-ching and Sixtus Baggio Leung who were disqualified, then Law along with three others. So one can imagine Law might be mentally and physically exhausted after what he has gone through. He also hints it's time to figure out another way to fight the establishment, though how else can one do that without doing something illegal these days? The pro-Beijing side must be elated -- one less opponent to deal with (for now), and now there is speculation how much longer Demosisto will be around now that one of the co-founders is leaving. It's not easy to walk away from something you have started, but perhaps Law feels now is the time to take a break and figure out what to do next. Picture of the Day: Plant-based "Meat"